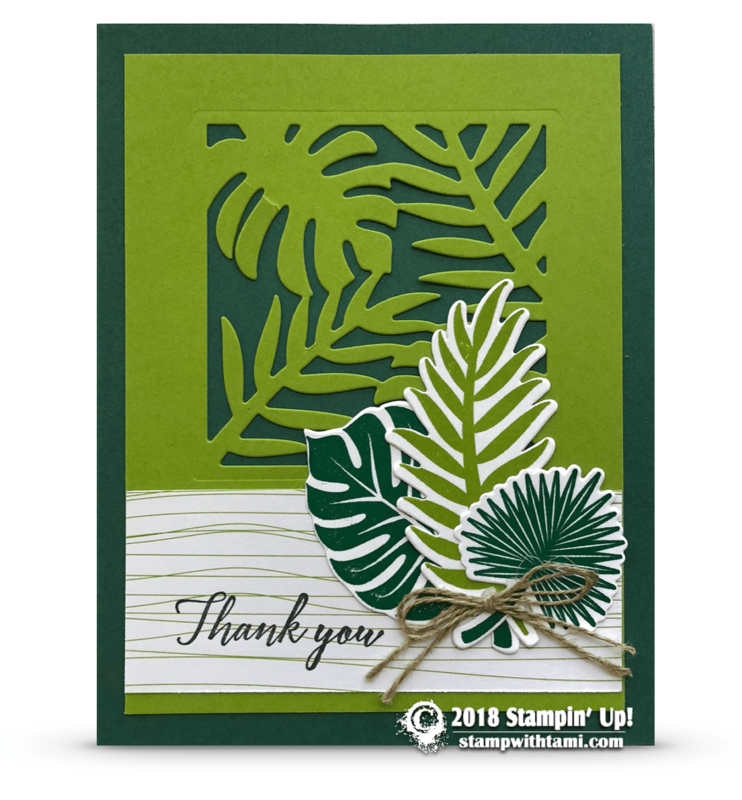 Beautiful “thank you” card from the Stampin Up Tropical Chic stamp set and coordinating Tropical dies. Love the “window” cut out from the die set. Accents from the Tropical Escape designer series paper.